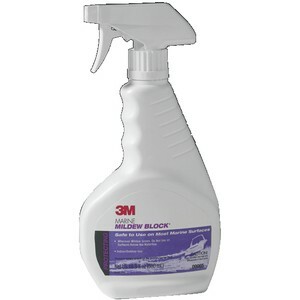 3M's Marine Mildew Block stops mildew before it starts. Specially engineered to prevent mildew growth and safe to use on most marine surfaces and materials found above the waterline. Use freely on both the exterior and interior of your boat to make sure it stays clean. The non-toxic formula of 3M's Marine Mildew Block makes sure your boats surfaces stay looking clean and new.